By estimate, it can be easily said that more than 50% of web servers around the world are running on Linux. In most of the organizations for daily office works the Linux is the only choice, even if not, then also to process the sensitive and secure data Linux OS is implemented around the world in most of the organizations. 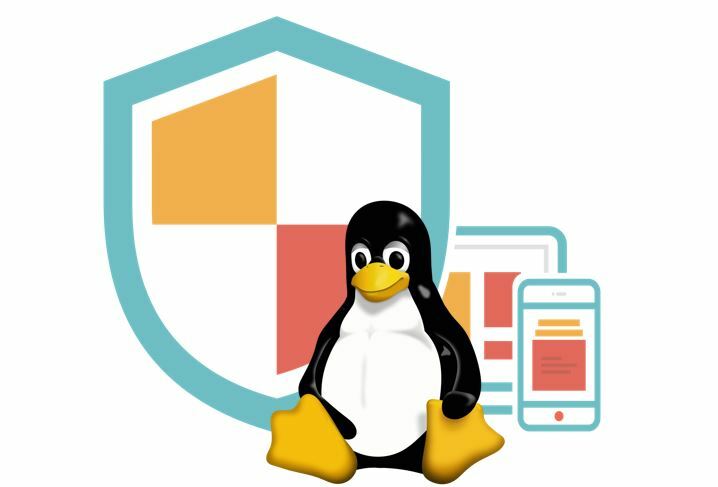 While Linux is known to be more secure than windows and OSX, it also has another goodwill of being an invulnerable OS for any kind of virus or malware attacks. Now think where more than 50% of the web servers are running with Linux, where the hackers will definitely try to breach many of those servers for their greedy needs and to do that, they must have tried with many methods including development of computer viruses and malware to breech Linux securities. 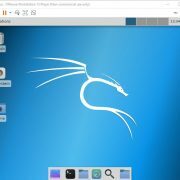 Yes, it is true that even Linux has a good amount of potential threat from Computer Viruses and Malware. If you still think that Linux is immune to any malware attacks, check your fact over the internet. Though even in 2019 it is quite hard to breach into a Linux system due to the lack of root access of the system for any malware, there are many other potential problems which can be created by the malware. Especially if you are also running a PC or a server with Linux then you are a serious computer user as newbie users are prone to use MS Windows most of the time. While being a serious user it is your duty to keep an eye on the security of your data and the system. Most of the malware available for Linux are not able to breach and take out raw data out of your Linux system, but still, they are capable of executing such commands which will make your system fail down, even your HDD can become corrupted. 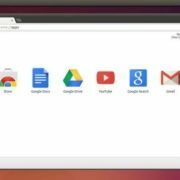 So, go through this article in full as we are about to discuss this matter in brief but in clear points to protect various Linux OSes such as Ubuntu, Fedora, Linux Mint, Centos and more. Most importantly we are about to discuss the solution of this problem, like which tools to use, which measures to take to ensure safety. One of the most trusted Anti-malware tools for protecting Linux Pc and Server stations. This one tool is mostly used by the Linux Professionals. This tool is an open source software, this tool also has its counterpart for the MS Windows and Apple Mac systems. Though it is an open source and free program, CalmAV is quite powerful when comes to performance. CalmAV does a lot more than just scanning your emails for malware. It has a very active community of developers who are working on it, so it can be said that this program is still working on progress. With the regular updates and modifications, this AV solution is going to be a tough competition for any commercial AV solution. If you are worried about latest malware releases which may infect your system, the truth is that always being up to date with the latest malware is hard, especially until those newly released malware’ signatures are detected. CalmAV also get frequent updates about the latest virus and malware definitions, which ensure better protection. Now and serious issue, which is applicable for most of the AV solution for all the platforms of OS, that if you are using multiple AV solutions in a single system, your AV may give you false virus or malware detection alert as most of the AV detect the other one as malicious program, and this is common in nature. Other than this there is also a chance of false virus hits too. As we said it is an open source project and a still work on progress, you may have to become habituated with these irregular issues. If you are looking for the best AV solution with a zero-balance budget then CalmAV is the thing for you, but of course, if are looking for some commercial AV solution you may end up with a better product than this. 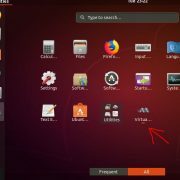 Any type of Linux PC user as well as good for Linux based server, while looking for the best free AV option. This one is a very good quality application for AV purposes but it comes with a price as it is a commercial application. It has a Windows counterpart, come with preconfigured GUI similar top Windows version. Though there are many functions and options available, navigating through the app is very easy. This AV is very good at detecting and isolating Trojans and various types of malware. 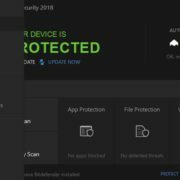 Also, this program does block any type of Windows, Mac or even Android malware too, which makes transferring files from this pc to another one is more protected for the other pc. It also works with Web Servers, NFS Servers, or even with old FTP Servers. If you are using a server which serving files to other computers then it is important to have a good AV program to make the other PCs safe from your side. It supports a wide variety of Linux distros, and also works with 32-bit and 64-bit version OS. Popular Linux platforms like Amazon Linux, CentOS, Debian based Linux OS, Mint OS, Oracle, Red Hat, SUSE, TurboLinux, and Ubuntu or associated Linux is well supported by this AV program. You can also try the free version of the application with some drawbacks, and with fewer functions. While the paid version also comes with the anti-ransomware tool. Especially if you are using or do having and handling a server with mission-critical data, customer data, product data, business development data, then considering for Sophos AV paid version is a crucial choice for you. The anti-Ransomware option is a paid facility. Very good for servers which makes sure you are not the one who is accidentally distributing the malware among your customers. This one is one of the mainstream AV software, we all know it has its counterpart for Windows and MacOS which make sure that it has a large directory of malware and virus definitions. This Av is good for detecting malware and virus in most of the Linux based system, also it is a very good option for those PCs with dual boot system (Windows and Linux in the same pc). As there are many users who use dual boot system, in which they use Linux for their all computational needs while they use Windows for gaming purpose. In those pc, any malware from one OS can harm the other OS too. In that kind of cases, Avast is a very good option for better security. This AV software is also very good when it comes to file-server security. This application contains three categories within it, Core security, File Server security, Network Security. This application works with both 32- and 64-bit OS. This app is compatible with Red Hat, Ubuntu, CentOS, Debian based OS etc. This app can be launched and used via using the command line interface. It also comes up with a Hardware driver update feature which ensures your hardware updated and secured. This one also is a paid application, but one of the bet paid application in the market. The performance is good, the response is pretty fast if sudden malware attacks happen this software can prove to be a real life saver. If you are not willing to pay right now you can check out the free edition or even can try the premium edition for free for one month. Frequent and relevant update, and a good-responsive community. Some premium features are only available in the paid version. Standalone Linux Pc, Data Servers and best for Dual boot PCs. If you are looking for an AV solution which covers all the OS platforms then ESET is the right thing for you. It covers the solution range for Linux, Windows, Mac everything. ESET is not just a single application, but it has a wide range of tools which offers different types of solutions for malware and virus-oriented issues. They have a huge database of definitions, so these tools have a very good quality scanning capability. You also can opt for a complete suite which offers various types of security tools in a bunch designed to keep your pc clean from malware, safe from virus attacks and responsive in terms of performance. Along with many other tools, it offers a unique thing called Remote Management. This tool is very good for those who have multiple servers to manage at his workspace or has servers located somewhere else globally. This AV solution also come up with compliance monitoring to ensure that all the servers in an organization comply with a single security standard as it is easy to handle it that way, and precaution is better than cure in any kind of virus or malware attacks. These tools work with Suse, Fedora, Mandriva, Red Hat, Ubuntu, Debian, FreeBSD etc. In simple words, it has to offer at least something for almost all the Linux distros. Comparatively not the best in blocking malware with signatures. Very good for Server management & Server farms. It also supports remote management as well as it supports multiple server systems running the different OS at the same time. If you are still thinking that just by using a Linux System or server your data are protected from hackers, virus attacks, the malware then you are living in a fool’s world. As the technology gets updated the hacker, the virus, the malware gets updated too. So, to ensure your system’s and data’s safety you must take corrective measures before the malware infection happens. Because after the infection it is hard to tell that what data of your got breached, which data you lost or what virus your servers accidentally distributed among your customers. Loss of data including permanent damage to your HDD anything can happen without the precaution. After the attack, you may be able to keep the system up and running again but security and data breach, as well as performance issues, are imminent with a virus or malware attack. But always try to go for a more trusted application with regular updates and active community. For this reason, going for a paid application is also advised.